Page clearly understands habits. As I wrote in my book, “Hooked: How to Build Habit-Forming Products,” frequently used products form sticky customer habits. But what if your product doesn’t pass Page’s Toothbrush Test? Perhaps you’d like people to use your product or service frequently, but it just doesn’t make sense to do so. The breath went out of me like I’d been punched in the solar plexus. I glanced over my shoulder trying to find the woman who’d introduced me, hoping she’d save me, but she was already slinking off the stage. I was stuck. I hadn’t prepared another talk, so I gave the planned presentation, based on my book. I explained that home buying and selling doesn’t occur nearly often enough to become a habit. Furthermore, the very definition of a habit — a behavior done with little or no conscious thought — is the antithesis of the kind of overthinking that real estate transactions inspire. As I finished my talk, I expected crickets. Instead, I received a generous round of applause and a small mob of real estate agents gathered around me as I got off stage. As the lights came up and the convention adjourned for a break, the agents peppered me with questions. They all had ideas to share. “I know home buying and selling can’t be a habit,” one woman spoke up. “That’s fine. But what if I make a habit of doing something else related to home buying and selling?” I was intrigued. Soon, other agents chimed in and built upon each other’s ideas, coming up with all sorts of ways to keep potential customers engaged. 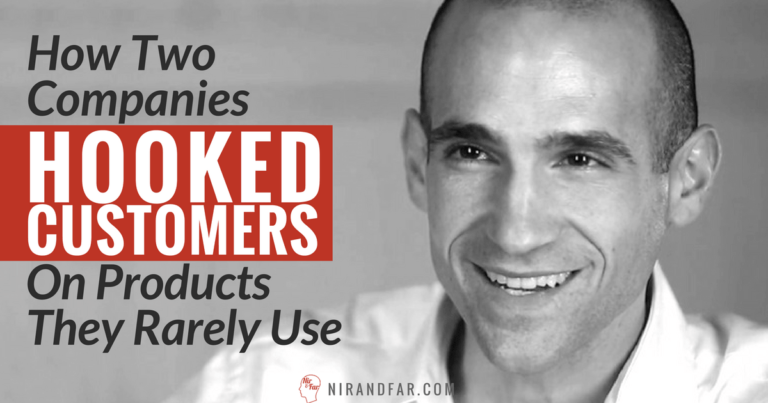 Their ideas helped me realize that even infrequently used products and services can keep customers hooked. However, let me be clear: Not every business needs to be habit-forming. There are lots of ways to bring customers back, and many companies succeed without relying on customers’ habits. They buy advertising, spend money on search engine optimization, or open a storefront to capture customers’ attention as they walk by. But traditional methods of keeping customers engaged force businesses to rent space on someone else’s website, search engine, or street corner. By contrast, owning a customer’s habit is an asset that pays you. So, how do infrequently used products bolt on a habit-forming experience? The first way is by making a habit of consuming great content. “Every time someone in my neighborhood has personal finance questions, I want them to come to me,” one real estate agent told me after my talk. Her plan was to create a site and app full of articles, videos, and financial calculators to form a content habit with potential home buyers and sellers. “What if I write new articles or post the ones I find online about topics I know people have on their minds?” she asked. I nodded in agreement as she described building a site that would teach people to come to her for information that would help them make financial decisions. If she could build potential customers’ habit of consulting her site, she could increase the odds of people transacting with her when the time came to buy or sell their homes. She had stumbled upon a tactic used by Y Combinator, a company the New York Times called “Silicon Valley’s Start-Up Machine.” Y Combinator is in the business of finding promising young tech companies and helping them become the next AirBnB or Dropbox (both Y Combinator companies). Though Y Combinator has sealed its reputation at the top of its industry, it was once a newcomer competing for attention with traditional venture capital funds and angel investors. Even today, Y Combinator’s success depends on finding the best founders, which means staying top of mind. But founders don’t apply to Y Combinator frequently enough for it to be a habit. How does the startup accelerator stay connected to the tech community? The answer is content. Hacker News, a content aggregation site owned by Y Combinator, was visited 18.6 million times in July 2016. Hacker News went online in 2007, less than two years after Y Combinator’s founding, and has been a fixture of Silicon Valley tech and culture ever since. Though it’s not Y Combinator’s core business, it has successfully drawn attention to the accelerator by forming a content-consumption habit. The constantly changing list of articles has all the elements of a habit-forming product I describe in my book. Users check the site daily between coding sessions or during breaks to find the latest industry news and happenings. As they browse, they accrue a reputation score for their contributions to the site. Though Hacker News is an “autonomous unit,”according to the company, it’s clear the site is still an arm of Y Combinator. The top left corner of Hacker News features the Y Combinator logo as the home button, and a link at the bottom of the page invites visitors to “Apply to YC.” But the hooks in Hacker News go even deeper. 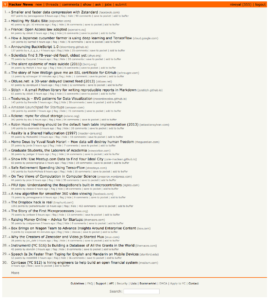 As TechCrunch reported, “Hacker News has a strong affiliation with Y Combinator. … Founders usually all create a Hacker News account when they apply, and that user name is the founder’s identity at Y Combinator.” Recently, Y Combinator doubled down on its content strategy. In November, the accelerator launched The Macro, a content site featuring original writing by members of the Y Combinator team. Y Combinator has profited from the popularity of Hacker News. Despite the fact that Hacker News is not the primary way Y Combinator makes money, the content consumption habit fills the funnel with potential applicants and has become a valuable asset in its own right. Another way infrequently used products form a habit is by building a community. Let’s say you’ve got a product people tend to buy just once a year — like Christmas ornaments. One might assume interest in such a product is nil for 11 months of the year. However, for members of Hallmark’s Keepsake Ornament Club, engagement with (and revenue from) the seasonal product goes strong year ’round. The Keepsake Ornament Club (or KOC as members call it) is a surprising example of the power of community. Though the group is mostly unknown to outsiders, the KOC boasts more than 400 local chapters across the country. An industry research report claimed the club had 350,000 members in 2001. 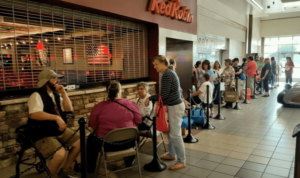 A recent look at the club’s official Facebook page showed photos of members queuing in long lines for a chance to meet with the artists behind some of their favorite ornaments. The people in the photos aren’t wearing heavy coats to protect them from the December snow; they’re wearing shorts. The Christmas-themed event took place in the middle of August. Hallmark has cultivated a thriving community around its seasonal products, but the secret of the club’s success is about more than the ornaments. Local chapters of the KOC are organized by neighborhood Hallmark stores as well as the national organization — sort of like a Kiwanis Club for collectors. Similar to a civic group, many of the local affiliates organize frequent gatherings and social events. Linda, an employee of a Hallmark store in Pleasanton, California, who preferred I didn’t use her last name, told me her store’s club has 25 members and is considered small. (Some clubs have hundreds of devotees.) Still, Linda’s group meets regularly and members trade ornaments, as well as banter, via email. A privilege available exclusively to club members, Linda told me, was the chance to package new ornaments as they arrive at the store. Some might consider the job manual labor, but to club members, it’s a treat. Collecting is a major draw for KOC members and there’s a special psychology associated with collectables that is not easily replicated by other industries. However, the product facilitates something else club members really want — social interaction. “Sure!” I told him. He went on, “Then, if they want to go to games together, they’ll coordinate through the online group.” I loved the idea and assured him that if people depended on him as the hub to connect his community, his real estate business would be in great shape. When it comes to designing products people love, far too many companies focus on getting customers to check out instead of getting them to check in. There’s no doubt that a frequently used product like Facebook, Slack, or Snapchat has an easier time of changing consumer habits. However, habits can still help companies that might make a sale to consumers every few months or years. Companies looking to build consumer habits should remember that monetization is a result of engagement — not necessarily the other way around. For a financial services firm, a real estate agent, or a seasonal business, buying the product or service might not be a habit — but creating related habits around content and community can pay off in reputation, satisfaction, and sales. Owning a customer’s habit is an asset that pays you. But it is difficult (if not impossible) to turn infrequently used products into a customer habit. Rather than trying to make the product into a habit, infrequently used products should build habits around the product. Too many companies focus on getting customers to check out instead of getting them to check in. Building a content or community habit are two ways to keep people engaged. Monetization is a result of engagement — not necessarily the other way around.